Our entire trip to Moab was perfect from beginning to end. 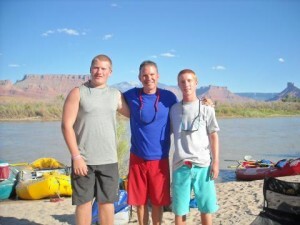 I took my two 14 year old nephews on the trip and none of us had been to Utah before. Every single excursion was wonderful. The scenery was beautiful and the tour guides were awesome. I would not have changed anything on the tour. There was some free time between tours and I would have planned some more hikes on our own, but other than that the vacation was one of the best I have had. We even stayed an extra day to do a mountain biking tour through Moab Adventure Center, and that was another highlight of the tour. While the day and 1/2 rafting tour was a lot of fun, it was more of a lazy river ride than any white water. 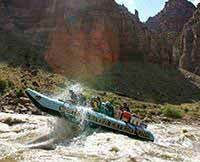 I wonder if the Cataract Canyon tour would have been more rapid, but for my nephews it was a great beginning rafting experience. 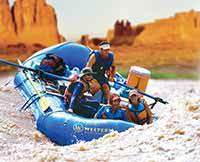 The tour guides on the river rafting trip were exceptional - making it fun for everyone and making everyone feel welcomed on the tour. 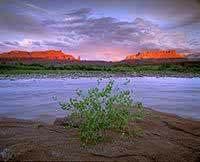 I would go back in a heartbeat, and I will use Western River Expeditions again. 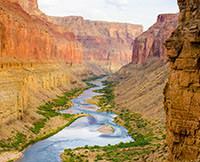 I would love to do an Idaho or Grand Canyon Tour.